This is the most difficult question to answer and depends on so many factors such as the size of your house and the use of the wood but advisement suggests working on about 3 – 4 m3 per annum. That’s based on using it most evenings and weekends from October to April. Splitting the wood Depending on how you buy your wood you may split the wood yourself; splitting them into separate pieces which will speed up the drying process. Or you can buy logs that are already split halving your work load and you will get the best quality wood, split in the correct way. Outside Drying If you’re lucky with the weather, although living in the UK means this will be unlikely! 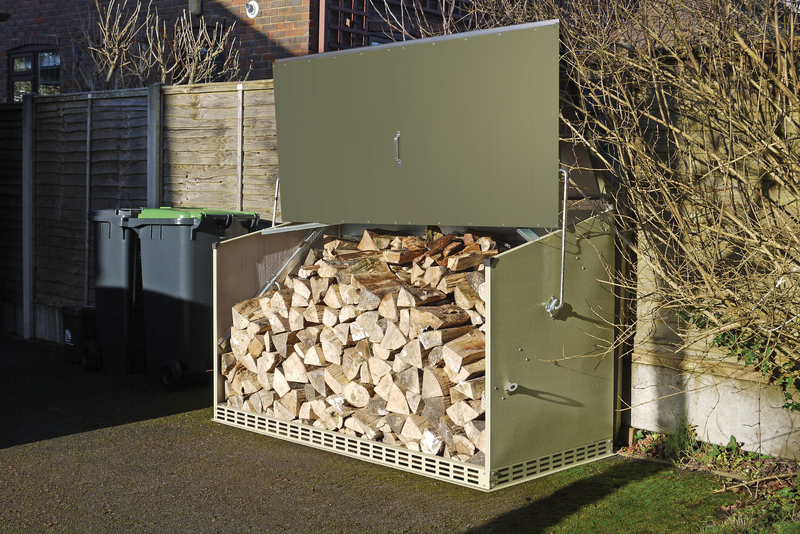 You can let your logs dry in the outside before storing them away. The wind will speed up the drying process. Wooden Pallets Using wooden pallets guarantees that the logs are elevated off the ground and off a damp surface. It also gives plenty of circulation from underneath. Ventilation is key to keeping your logs dry. Wood is highly susceptible to exposure to the elements, especially rain, snow and sleet. If your wood supply is stored inaccurately and it gets wet, it will start to decay. Dampness is a huge factor affecting the amount of heat your wood will produce for your home. Keeping your firewood supply as dry as possible will maximize the benefits and you’re overall investment. Plastic/Woven Baskets – an aesthetically pleasing option. However they do not hold many logs and if you have a large need for wood they can become an expensive option and space consuming.